Land has become increasingly scarce in cities. In Tokyo, a plot of land at a traditional urban cemetery can be astronomically expensive, often reaching USD $100,000 in central areas. If one adds the purchase of the tomb and other associated costs the final price tag can be prohibitively expensive. And the solution to this lack of final resting places? 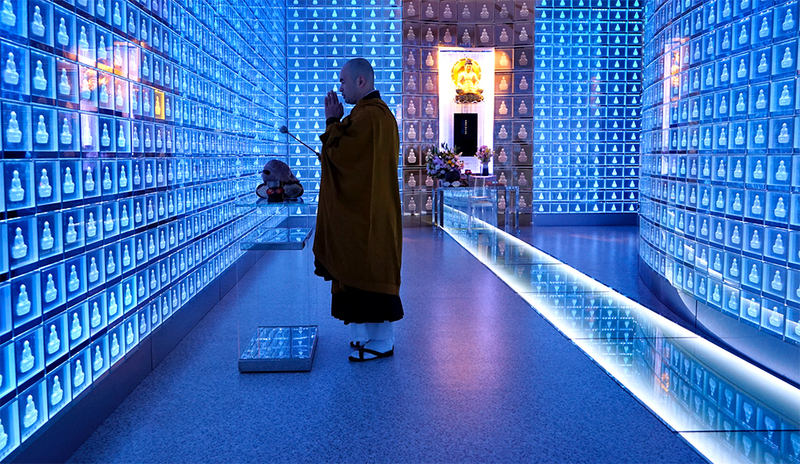 Japan’s new breed of hi-tech, urban, skyscraper cemeteries. Japanese photojournalist with a focus on human rights issues and cultures in different parts of the world. I hope to connect people and stories in an intimate way through photographs. It has already been 20 years since I started meeting the survivors of “comfort women”. It only seems like it was yesterday when I – as a man – felt guilty and struggled to think of what I could do for the survivors. Then, as a photographer, I decided that sharing the victims’ grief deep down their hearts through photographs was the best possible way I could help them. With the start of an exhibition in Seoul in 2003, I have met a lot of people, including the victimized women who are now quite aged, and learned to sympathize them. And after the first “JuJu Exhibition” (2012) in Japan, I have continued to keep in contact with the women. Although the first exhibition at the Nikon Salon was unjustly interrupted, it was later re-opened with the help of citizens and 7,900 audiences. I had a chance to meet the survivors now residing in the Philippines in January, 2013 and those in China, South Korea, the Philippines, Indonesia and East Timor last year. Then I realized that although they all suffered from the ordeals during the Japanese colonialism, their tragic stories have not yet been shared well. (by Ahn Sehong). 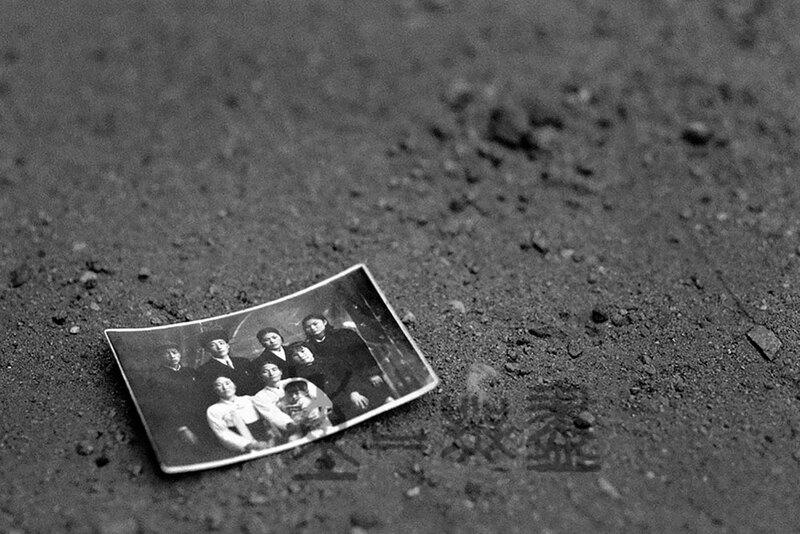 The term of ‘Juju (重重)’ signifies ‘being piled up one upon another’, and it is used in the situations of both the survived ‘Comfort Women’ and our tasks to deal with their related issues stage by stage. Its director, Ahn Sehong, met those suffering human beings (mostly in their 80s-90s) whose sorrow was ‘piled up one upon another’ for more than 70 years in the deep furrow of their wrinkles. All of the matters from the past to the present came up to us, becoming grudge that got unravelled one over another. Everything has its seed! In this sense, the more people participate, the more the significance of the proceeding ‘juju’ will be great. The Juju Project is the photograph exhibition of the living comfort women that we all are making together. Each voice in ours can get stronger and stronger, and this is able to pay off their old grudges and recovery of their human rights. We appeal to you to support this Project in order to receive a sincere apology from the Japanese government as soon as possible, while a few comfort women are still alive. We know it won’t be easy. There are hundreds of islands in the area, and scores of small boats. But it’s a one-off chance to document this dramatic story. 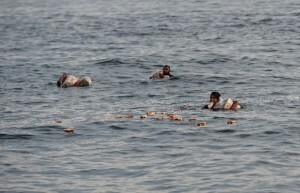 The Thai authorities are initially helpful, offering to take us out on patrol close to Malaysia’s territorial waters. So we fly to the southern town of Hat Yai, head on to Satun on the coast, and board a speedboat the following morning for the island of Koh Lipe where the patrol is due to leave. Each time I arrived in Hongjun village after a 12-hour journey by plane, bus, and motorbike, I took deep breaths of the crisp mountain air—as if that could clean out my Beijing-polluted lungs. It did not take long for the irony to hit me. This alpine landscape in central China is home to hundreds—perhaps thousands—of men too sick to breathe normally. Once farmers, these men left en masse in the late 1990s to work in gold mines—part of the army of migrant workers who powered China’s economic boom in recent decades. They dug deep into the mountains for treasures. 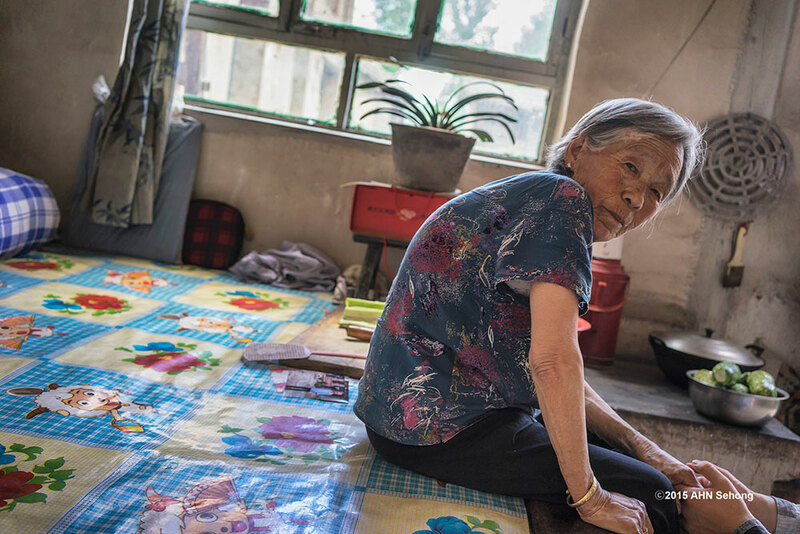 Years later, they came back with the lung disease silicosis, and now wait in their homes for death. 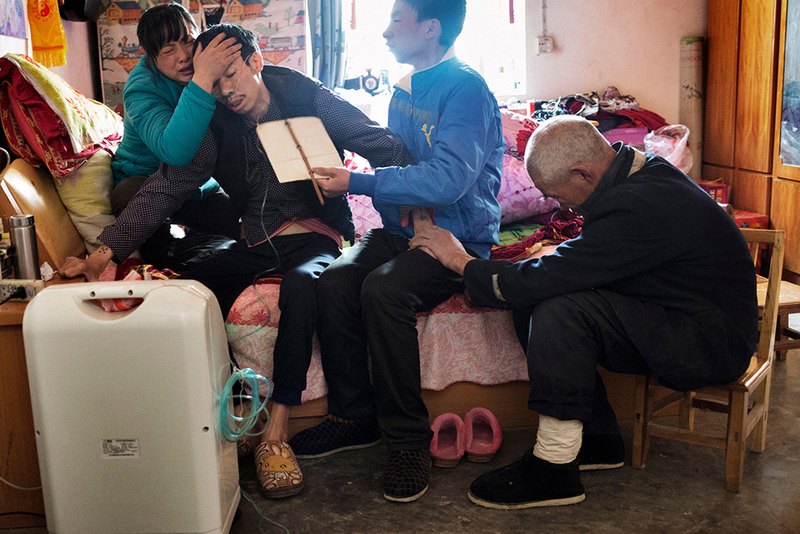 Photographer Sim Chi Yin has made portraits of more than 30 former gold miners suffering from silicosis. 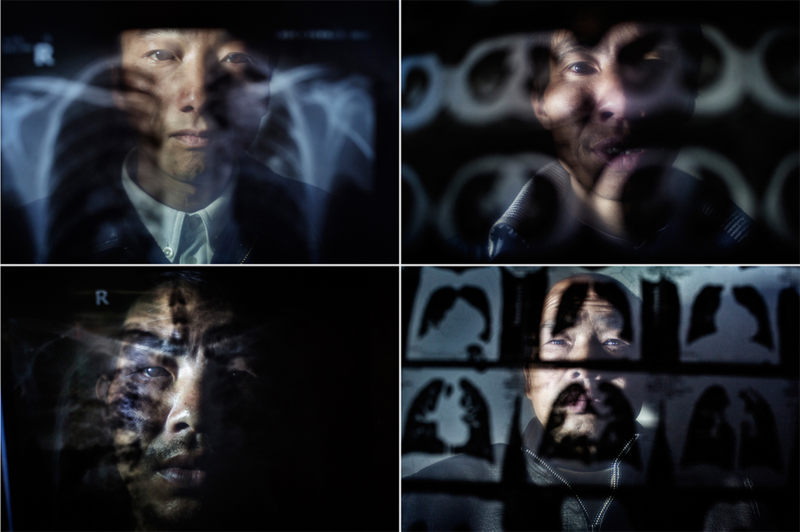 Pictured holding their chest x-rays, clockwise from top left: Song Dengfa, died 2013; He Quangui, diagnosed with silicosis in 2004; Wang Yiyin, died 2011; She Faxue, died 2012. Sim Chi Yin is a photographer based in Beijing, and is a member of VII photo agency. She covers social issues in the region, and has produced photo, video, and multimedia commissions for TIME, the New York Times, The New Yorker, National Geographic, and other major international publications. She was a reporter and foreign correspondent for The Straits Times for nine years before quitting to shoot. She sometimes dreams in mute, black-and-white mode, but in real life is fascinated by color and light.